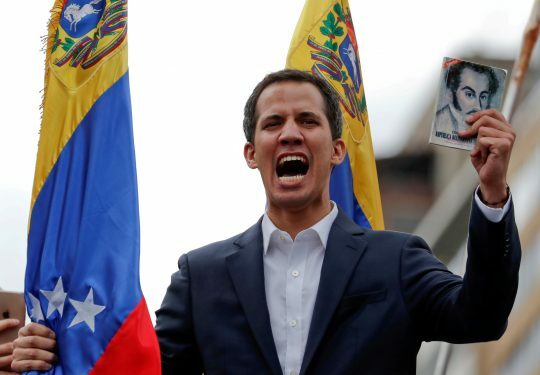 BRUSSELS (Reuters) – The European Parliament recognised Venezuela's self-declared interim president Juan Guaido as de facto head of state on Thursday, heightening international pressure on the OPEC member's socialist President Nicolas Maduro. "The leaders of Europe are sycophants, kneeling behind the policies of Donald Trump," he said at the weekend. "Those who are demonstrating today in the streets of Venezuela are not Europeans, but they fight for the same values for which we fight," Spanish centre-right EU lawmaker Esteban Gonzalez Pons said in a statement. This entry was posted in National Security and tagged European Union, Nicolas Maduro, Venezuela. Bookmark the permalink.